Looking for a low-maintenance home? Browse all of the Durham townhomes for sale below! These spaces are affordable, convenient, easy to update, and perfect for anyone who's looking to downsize or buy their very first home. Durham offers a great selection of new and mature places that are available in a variety of budgets, so whether you're just starting out or are looking for an easy investment property, the townhomes below could make for a great first or fifth investment. Find all of the current listings below, or keep reading to learn more about the Durham townhouse real estate market. The Durham townhome market is thriving right now. Many of the Triangle area's new master-planned communities include a range of housing options, including townhomes as well, so there's plenty of stock to choose from. Plus, the affordability of these units makes them ideal for first-time buyers, and the low-maintenance nature makes them also ideal for those looking to downsize. Most feature bright, open-concept floorplans really help to make the most out of their modest sizing and offer most of the amenities of a full-size home for a much more affordable price. Most units will offer a single-car garage, newer appliances, a gas fireplace, a roomy kitchen, and an array of other contemporary amenities. 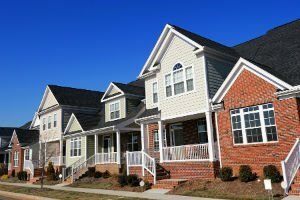 Townhomes are a great option if you're looking for somewhere that doesn't require a lot of maintenance. If cleaning the gutters, pulling weeds, and mowing the lawn isn't really your thing, that's okay! There's some great communities that will take care of this for you so that you can reserve your free time for the things you enjoy. If you're in the market for a convenient townhouse in Durham, then get in touch with the My NC Homes team today! Send them a message online or give them a call at 919.659.5173. From consultation to closing, we're here to ensure that you get the most out of your real estate investments.